^^But were they quiet points? "focal point of the offense"
35 points on 15/22 shooting. NBA circles are still saying ncstatetke is dumb. 31 points on 72% shooting. Averaging 20 ppg this season. Lotta nba circles maintain that he’s a bust. 23 pts, 5 rebounds on 9-15 shooting tonight. Yeah headline I saw said, "TJ Warren's quiet points have NBA Circles speaking loud." I'd link to the article but I can't because I made it up. Stopped reading where I saw "Deborah A Yow"
I guess he has a thing against press releases. "In fact, heading into his most recent game on Tuesday night, Warren and Curry were the only two players in the NBA shooting 45%+ from three, 49%+ from the field and 90%+ from the free throw line. Tony Buckets put in some serious work in the offseason. For perspective, he shot 22% from three last year, and 75.7% from the free throw line." "You have to admire the year-by-year consistency of T.J. Warren's assists-per-36-minutes: 1.5, 1.5, 1.4, 1.3. It is hard to have the ball so much, and shoot so often, while recording so few assists." Last season there were only 7 other players with as much usage and as low an assist rate. Dwight Howard among them. Yeah, bring him home from Phoenix. Dear mama TJ, you are appreciated. 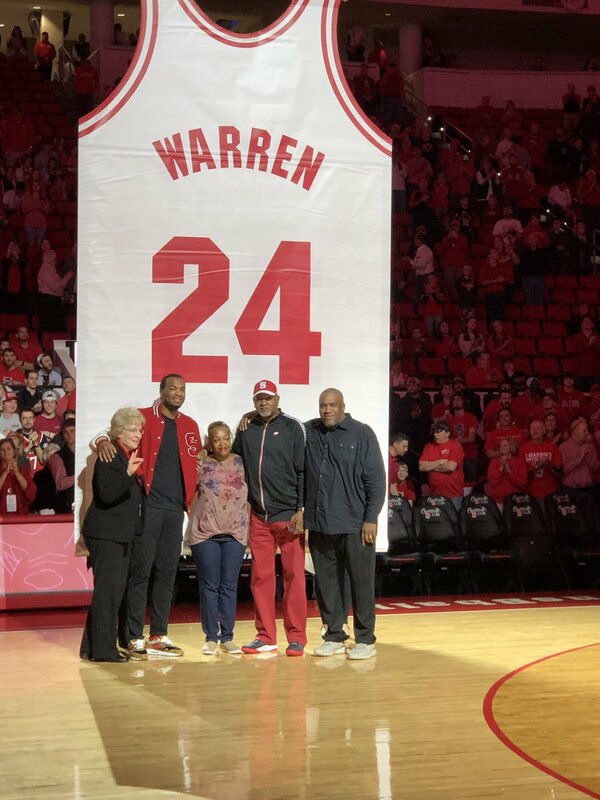 Agreed, Warren was the man. I wish he could have stayed another year but can't blame him for leaving. I liked watching him even more than Julius Hodge. He wasn't the personality that Hodge was but he could ball.